1.2 Grades containing the letter, H, in their designation,have requirements different from those of similar grades not containing the letter, H. These different requirements provide higher creep-rupture strength than normally achievable in similar grades without these different requirements. 1.3 The tubing sizes and thicknesses usually furnished to this specification are 1 ⁄ 8 in. [3.2 mm] in inside diameter to 5 in [127 mm] in outside diameter and 0.015 to 0.500 in. [0.4 to 12.7 mm], inclusive, in minimum wall thickness or, if specified in the order, average wall thickness. 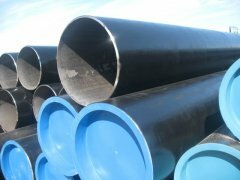 Tubing having other diameters may be furnished, provided such tubes comply with all other requirements of this specification. 3.1 Definitions—For definitions of terms used in this specification, refer to Terminology A941. 4.1.11 Special requirements and any supplementary requirements selected. 5.1 Product furnished to this specification shall conform to the requirements of Specification A1016/A1016M, including any supplementary requirements that are indicated in the purchase order. Failure to comply with the general requirements of Specification A1016/A1016M constitutes nonconformance with this specification. In case of conflict between the requirements of this specification and Specification A1016/ A1016M, this specification shall prevail. 6.1 Manufacture and Condition—Tubes shall be made by the seamless process and shall be either hot finished or cold finished, as specified. Grade TP347HFG shall be cold finished. 6.2.1 Ferritic Alloy and Ferritic Stainless Steels—The ferritic alloy and ferritic stainless steels shall be reheated for heat treatment in accordance with the requirements of Table 3. Heat treatment shall be carried out separately and in addition to heating for hot forming. 6.2.2 Austenitic Stainless Steels—All austenitic tubes shall be furnished in the heat-treated condition, and shall be heat treated in accordance with the requirements of Table 3. Alternatively, immediately after hot forming, while the temperature of the tubes is not less than the minimum solution treatment temperature specified in Table 3, tubes may be individually quenched in water or rapidly cooled by other means (direct quenched). 6.3 If any controlled structural characteristics are required, these shall be so specified in the order as to be a guide as to the most suitable heat treatment. 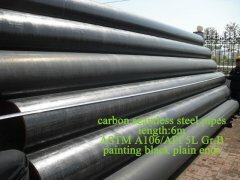 7.1.1 The alloy steels shall conform to the chemical requirements given in Table 1. 7.1.2 The stainless steels shall conform to the chemical requirements given in Table 2. 7.2.1 An analysis of either one billet or one tube shall be made from each heat. The chemical composition thus determined shall conform to the requirements specified. 7.2.2 If the original test for product analysis fails, retests of two additional billets or tubes shall be made. Both retests, for the elements in question, shall meet the requirements of the specification; otherwise all remaining material in the heat shall be rejected or, at the option of the producer, each billet or tube may be individually tested for acceptance. Billets or tubes that do not meet the requirements of the specification shall be rejected. 8.1 Grain size shall be as given in Table 3, as determined in accordance with Test Methods E112. 8.2 Grain size determinations, to demonstrate compliance with 8.1, shall be made on one end of one finished tube from each lot. See 15.1. 9.1.1 The material shall conform to the requirements as to tensile properties given in Table 4. 9.1.2 Table 5 gives the computed minimum elongation values for each 1 ⁄ 32 -in. [0.8-mm] decrease in wall thickness.Where the wall thickness lies between two values shown in Table 5, the minimum elongation value shall be determined by the following equations. For Grades T23, T24, T91, T92, T122, T911, and S44400: E = 32t + 10.00 [E = 1.25t + 10.00]. For Grade T36: E = 32t + 5.0 [E = 1.25t + 5.0]. For all other ferritic alloy grades: E = 48t + 15.00 [ E = 1.87t + 15.00]. t = actual thickness of specimen, in. [mm]. Wall Thickness Elongation in 2 in. 9.1.3 One tension test shall be made on a specimen from one tube for lots of not more than 50 tubes. Tension tests shall be made on specimens from two tubes for lots of more than 50 tubes. See 15.2. 9.2.1 The material shall conform to the hardness requirements given in Table 4. See 15.2. 9.2.2 Brinell, Vickers, or Rockwell hardness tests shall be made on specimens from two tubes from each lot. See 15.2. 9.3 Flattening Test—One flattening test shall be made on specimens from each end of one finished tube, not the one used for the flaring test, from each lot. See 15.1. 9.4 Flaring Test—One flaring test shall be made on specimens from each end of one finished tube, not the one used for the flattening test, from each lot. See 15.1. 9.5 Mechanical property requirements do not apply to tubing smaller than 1 ⁄ 8in. [3.2 mm] in inside diameter or thinner than 0.015 in. [0.4 mm] in thickness. 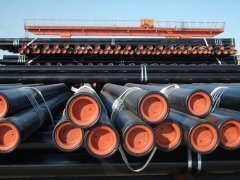 10.1 Each tube shall be subjected to the nondestructive electric test or the hydrostatic test. The type of test to be used shall be at the option of the manufacturer, unless otherwise specified in the purchase order. 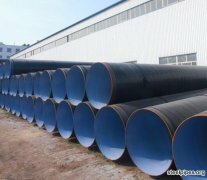 11.1 Tubes, when inserted in a boiler or tube sheet, shall stand expanding and beading without showing cracks or flaws. Superheater tubes when properly manipulated shall stand all forging, welding, and bending operations necessary for application without developing defects. See Note 1. N OTE 1—Certain of the ferritic steels covered by this specification will harden if cooled rapidly from above their critical temperature. Some will air harden, that is, become hardened to an undesirable degree when cooled in air from high temperatures, particularly chromium-containing steels with chromium of 4 % and higher. Therefore, operations that involve heating such steels above their critical temperatures, such as welding,flanging, and hot bending, should be followed by suitable heat treatment. 12.1 Repair welding shall be performed in conformance with Specification A1016/A1016M. 12.2 All repair welds in T91 shall be made with one of the following welding processes and consumables: SMAW, A5.5/ A5.5M E90XX-B9; SAW, A5.23/A5.23M EB9 + neutral flux; GTAW,A5.28/A5.28M ER90S-B9; and FCAWA5.29/A5.29M E91T1-B9. In addition, the sum of the Ni+Mn content of all welding consumables used to weld repair T91 shall not exceed 1.0 %. 12.3 All repair welds in T92, T911, and T122, shall be made using welding consumables meeting the chemical requirements for the grade in Table 1. 13.1 Permissible variations from the specified minimum wall thickness shall be in accordance with Specification A1016/A1016M. 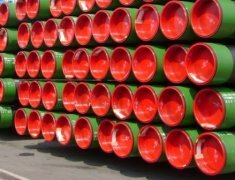 13.2 Permissible variations from the specified average wall thickness shall be 6 10 % of the specified average wall thickness for cold formed tubes and, unless otherwise specified by the purchaser, shall be in accordance with Table 6 for hot formed tubes. 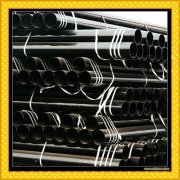 14.1 Ferritic alloy cold-finished steel tubes shall be free of scale and suitable for inspection. A slight amount of oxidation is not considered scale. 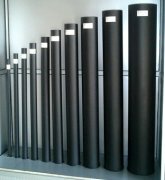 14.2 Ferritic alloy hot-finished steel tubes shall be free of loose scale and suitable for inspection. 14.3 Stainless steel tubes shall be pickled free of scale.When bright annealing is used, pickling is not necessary. 14.4 Any special finish requirement shall be subject to agreement between the supplier and the purchaser. 15.1 For flattening, flaring, and grain size requirements, the term lot applies to all tubes, prior to cutting, of the same size (see 4.1.6) that are produced from the same heat of steel. When final heat treatment is in a batch-type furnace, a lot shall include only those tubes of the same size and from the same heat that are heat treated in the same furnace charge. When the final heat treatment is in a continuous furnace or when the heat-treated condition is obtained directly by quenching after hot forming, the number of tubes of the same size and from the same heat in a lot shall be determined from the size of the tubes as prescribed in Table 7. Less than 2 in. [50.8 mm] but over 1 in. that are produced from the same heat of steel. When final heat treatment is in a batch-type furnace, a lot shall include only those tubes of the same size and the same heat that are heat treated in the same furnace charge. 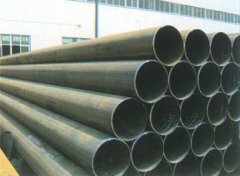 When the final heat treatment is in a continuous furnace, or when the heat-treated condition is obtained directly by quenching after hot forming,a lot shall include all tubes of the same size and heat, heat treated in the same furnace at the same temperature, time at heat, and furnace speed; or all tubes of the same size and heat, hot formed and quenched in the same production run, except as prescribed in 9.1.3. 16.1 In addition to the marking prescribed in Specification A1016/A1016M, the marking shall include: the condition, hot finished or cold finished; and the wall designation, minimum wall or average wall. 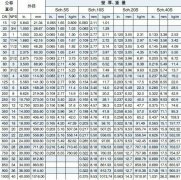 16.2 For the austenitic stainless steels having a grain size requirement (see Table 3) the marking shall also include the heat number and heat-treatment lot identification. 16.3 When either T2 or T12 are ordered with higher sulfur contents as permitted by Note B of Table 1, the marking shall include the letter, S, following the grade designation: T2S or T12S.